This is the story of how I found Kundalini Yoga, and, through it, myself. 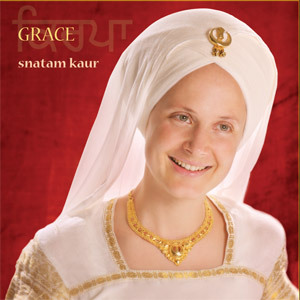 When I first heard Snatam Kaur’s voice, I had no idea where it came from. I was not a Kundalini Yogi. I was not a Sikh. I could not have even told you how to pronounce Snatam’s name (first or last! ), let alone the mysterious sounding words she was singing. And yet, I listened to her “Ray Man Shabad” (from her album Grace, produced by Thomas Barquee) on repeat in my car for three months when I first moved to Los Angeles. The way that track made me feel was different from any other song I’d heard before. I would usually gravitate towards music that fit my current mood—happy, distressed, lovelorn, lonely, angry, etc. This music was different. It was fitting to any emotional state, but it didn’t keep me where I was. It took me somewhere else. More than that, “Ray Man Shabad” created a sonic space I wanted to live in. I cannot remember what seemingly random incident first took me to the Golden Bridge, however, when I entered, the bookstore was playing Snatam’s “Ray Man Shabad.” I saw a few people who dressed identically to what Snatam was wearing on the album cover of Grace, and I thought to myself: “this place is the physical manifestation of how that music makes me feel.” In that moment, I had a very strong sense that I had been part of this community before in another lifetime. After this experience, I wanted to know more, and it only then occurred to me that the meaning of the shabad (Sikh hymn) might be on the internet somewhere. My first understanding of what I found was that “Ray Man Shabad” was about the healing that comes from singing. Since I was a singer, that seemed pretty fitting. My current understanding is that the shabad is a statement about true God awareness— that it cannot be superficially expressed by wearing “spiritual” clothing, or preaching about one’s faith. It can only be lived—as virtue. In a place like Los Angeles, where persona tends to rule the day, I am so grateful for this sound current that reminded me (albeit in a language I didn’t think I understood) to be true to myself. It has been my compass ever since. End of original post. I hope you enjoyed that. I started with practicing Yoga a bit, not in a serious way....now, 19 years later, to find healing for my burn out body, I decided to practice Yoga every day. In my Yoga-App I heard my first Snatam song....it was magical and I had the same experiences you describe in your post. I used the internet to find out who Snatam is and what she does embody in her songs and in her clothing. 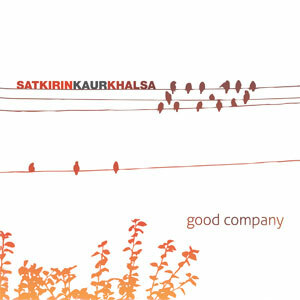 Sikhsm.....I must admit, this subject stumbled through my life horizont from time to time. There was something far far away inside of me which felt a bit addressed, but not in the way I would have made something special with it. But..... yes, this 'be part of it in another lifetime'-thing. This changed in the last month. I do daily meditation since 19 years now, found a lot in myself and do now know a lot of myself. By listening to Snatams and yours music, I found a little flame of love burning deep insinde of my body. It's the flame of the love of God I now know and it can become a big fire which is burning in a wonderful way and makes me cry, cry because this love seems to big for my heart. When doing my Yoga practice, two weeks ago, I saw Guru Ramdas without knowing him and his face (google helped me an hour later to find out who has visited me ).....I felt his confidence and love and that he mediates me I'm on the right way now....the way to God. This moves me a lot. At the moment I don't know any society in my sourrounding, but when time is right...this will change . I started reading Sri Guru Granth Sahib in english translation....it's powerfull and strong without meaningless phrases, it's the quintessence. I means so much to you that you commented on my blog post and shared your story with me! I also trust you will find community very soon.... because those who vibrate at a high frequency attract each other.